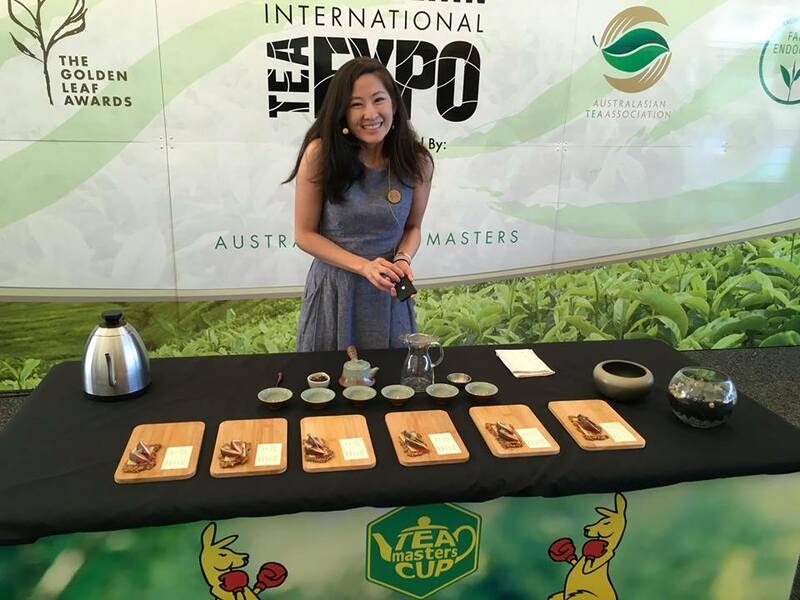 I recently had the nerve wracking but wonderful experience of competing in the Australian & New Zealand heat of the Tea Masters Cup. 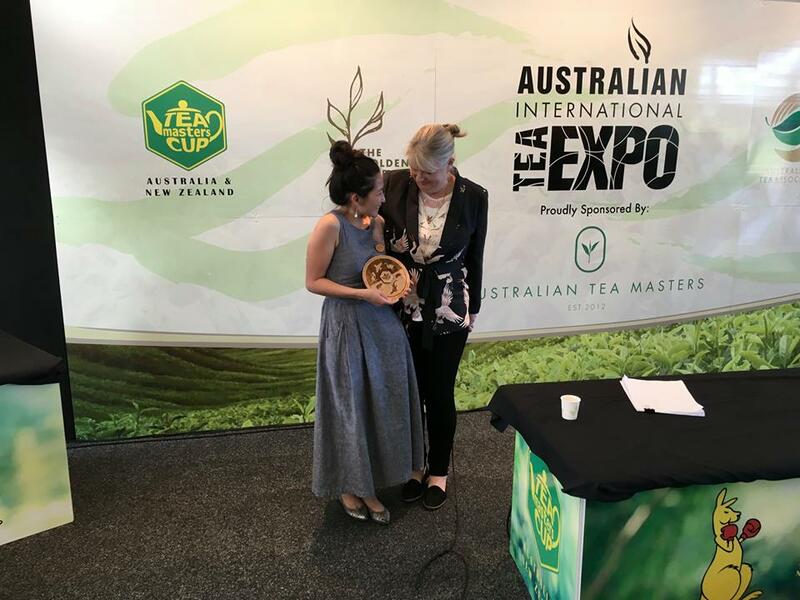 Taking out the top prize in the Tea Preparation segment, I now have the honour of representing Australia in the World Championships later this year. The Tea Preparation segment involves brewing two teas - an organisers tea and a competitor's choice - and presenting the teas to the judges withing a 15 minute period. The organisers tea provided by the competition sponsors - Lumbini Tea, was a Ceylon malty black tea. I chose to brew in a small Japanese kyushu, an every day teapot that I've owned for over 15 years, and decanted into a science beaker wrapped in a homemade napkin. These are simple, functional items that I have laying around my house. I wanted to illustrate how beautiful moments can be found in each day. No fancy tea wares are necessary - all you need to brew an amazing cup of tea is a bit of heart, a bit of knowledge, and a bit of patience. The tea was then served to the judges in my classic double walled glasses. I love viewing the beautiful colour of the tea through glass - just like a fine wine! 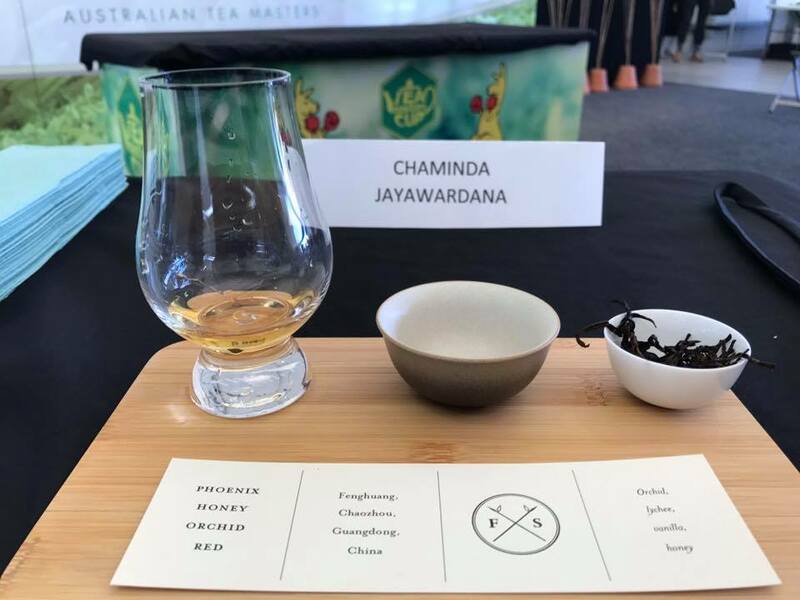 For the competitor's tea selection, I chose a Phoenix Honey Orchid Red tea brewed with two methods - traditional gongfu style and a modern flash brewed ice tea. Phoenix teas, also known as "Dan Cong" or "single stem" teas are known as the doppelgangers of the tea world. Named for the region they are grown and the thick tree trunk, they strongly imitate various aromas of flowers and fruits. Varieties include Orange Blossom, Cinnamon, Gardenia, etc. I selected a Honey Orchid variety, which has a sweet, floral aroma and lychee flavour burst. Usually these teas are processed into Oolongs, but I used a Honey Orchid tea that had been processed into a black (red) tea. The extra oxidation reduces the astringency and gives it a fuller body whilst maintaining the fresh fruity flavours. The brewing methods chosen were an expression of my own personal journey with tea. I fell in love with tea through my own Chinese heritage and culture, but as I learn more about tea, the more I want to push the boundaries of what is possible. I love presenting tea in ways that challenges perceptions, and that reaches people where they are on their own personal tea journey. The traditional gongfu style brew involves packing a small teapot 1/3 to 1/2 full and brewing for less than a minute at a time. For the modern style brew, I used a pour over steel coffee filter, stacked two infusions and then poured the final infusion over ice. The flash brewed iced tea was served in Glencairn whisky glasses to really bring out the fresh aromas and showcase the brilliant copper colour of the tea. For presentation, I laid out the traditional style, modern style and the spend tea leaves on a wooden board for each judge. It was a real honor and privilege to share tea and my personal tea journey with the judges and viewers.